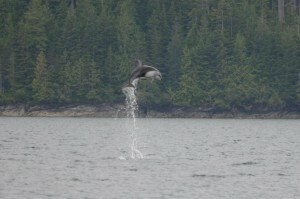 The whale / orca watching safari day from Grizzly Bear Lodge start with a fifty minute boat ride from the lodge to the area of Johnstone Strait. Along the way we search the shore for black bears, eagles and anything else that moves. 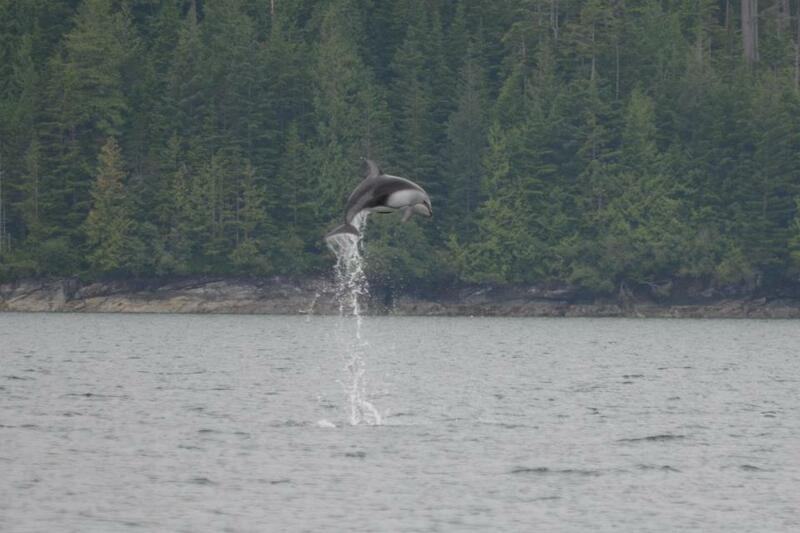 Once we are in the Strait’s area or eyes turn to the water for marine wildlife such as seals, sea lions, dall’s porpoise, white-sided dolphins, minkie whales, humpback whales and of course killer whales or orca. 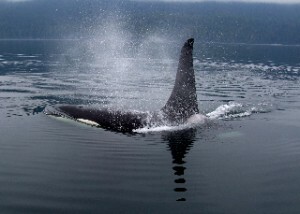 The resident or salmon eating orca we normally see in this area travel in family pods of ten to twenty members. The pods are dominated by the “mother” (oldest female) making them matriarchal however it is older males (sons stay with their mother all their life) that tend to attract most of the picture taking.